News and analysis on the world of logistics, from supply chain to transport and technology. 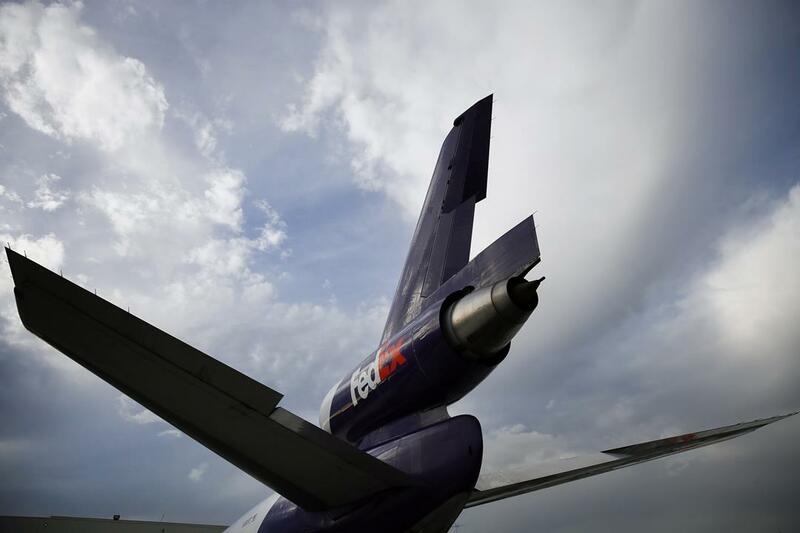 FedEx Corp. is scaling back to meet what it says are weakening global economic trends. The express delivery giant is reducing international capacity, limiting hiring, cutting discretionary spending and seeking a voluntary buyout program for employees, the WSJ’s Paul Ziobro reports, after a rough quarter that came in behind expectations. The biggest worries came in the Express unit, where FedEx recently replaced chief executives twice in three months and the company is struggling to integrate its TNT Express acquisition in Europe. Shipping trends aren’t helping: Express revenue fell 1% last quarter as shippers sent lighter packages using slower, cheaper options, helping push the overall average price per package in that business down 2%. FedEx needs more shipments, but the company also wants to make more money out of the packages that it does get. Holding off Amazon.com Inc. is no cheap undertaking. Argentina’s MercadoLibre Inc. is spending billions of dollars to build up logistics and financial payments infrastructure in Latin America, the WSJ’s Ezequiel Minaya reports, in hopes of building a business across the region that can withstand competition from the world’s big digital commerce players. The growing investment helped boost sales to $1.4 billion last year across 18 Latin American countries, but gross profit margins are sinking. MercadoLibre says that’s part of the plan for a company that’s “not in this to deliver profit in three to five years.” The results show how physical logistics hurdles are only one challenge online companies face in Latin America. Financial infrastructure is poor, and many customers aren’t convinced online transactions can be secure. That’s pushed MercadoLibre to build its own payments operation alongside the subsidized shipping that is a key feature of e-commerce. A capacity push is underway in the gas tanker business. BW Group, the world’s biggest operator of liquid petroleum gas ships, is buying the entire business of LPG-ship owner Epic Gas Ltd., the WSJ Logistics Report’s Costas Paris writes, extending an acquisition-fed expansion aimed at the changing global energy trade. BW took over Denmark’s Hafnia Tankers in December, and this latest buyout follows BW’s withdrawal last year from a hostile, $1.1 billion takeover bid for U.S.-based Dorian LPG Ltd. The new deal will build on the majority stake that BW already took in Epic, and now will add 39 small LPG ships to join BW’s fleet of 44 large LPG carriers. The buy comes in one of the maritime world’s liveliest sectors, with orders for gas carriers growing at shipyards and operators striking deals to tap into growing demand. One of the biggest discount footwear retailers in the U.S. thinks it can do better managing its own brands and supply chain. DSW Inc. will start putting more of its own products on shelves, the WSJ’s Kimberly Chin reports, in a pivot from its business model that highlights the increasingly complicated relationships between consumer brands and retail outlets. The shoe retailer, which is changing its name to Designer Brands, will help stem the flow of sales going directly to its suppliers by offering consumers products they can only get in DSW stores or online. Chief Executive Roger Rawlins says the company is recovering “a portion of the margins that we think we’re owed.” It also means competing with its own vendors, a growing conflict as consumers seek out goods beyond storefronts, and ramping up manufacturing in a bid to nearly triple revenue from in-house goods in two years. — FedEx Chief Financial Officer Alan Graf. Annual decline in U.S. seaborne imports in February, the first decline in 23 months, according to Panjiva. 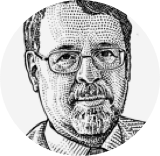 Paul Page is editor of WSJ Logistics Report. Write to him at paul.page@wsj.com. Follow the WSJ Logistics Report team: @PaulPage, @jensmithWSJ, @CostasParis. Follow the WSJ Logistics Report on Twitter at @WSJLogistics.